FORMER Commonwealth Games gold medallist Sam Skillcorn (née Lowe) is encouraging more youngsters to look at Judo as fitting way to improve their body and mind. After narrowly missing out on competing at the London 2012 Summer Olympics, Sam and husband Vince set-up Fighting Fitness Judo (formerly Pyrford Judo Club) in 2015. 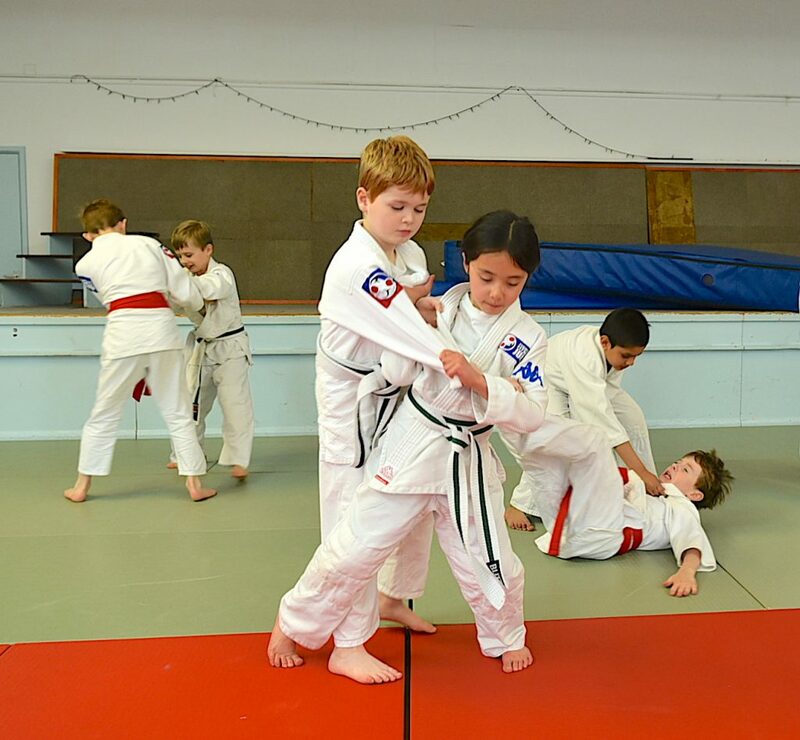 Since opening its doors, the club’s membership has increased substantially, with over 200 judo students now practising the sport on a weekly basis. The News & Mail caught up with Sam at The Arbor Centre in Pyrford last Saturday to get the lowdown on the club’s rise to the fore. She said: “Vince and I always knew that we wanted to keep our hand in when we eventually retired from competing, but you’re never quite prepared for when that time comes. 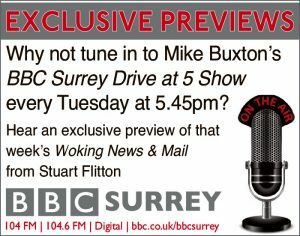 “We were asked if we would like to take over the running of Pyrford Judo Club, which had been running for 30 years by Graham Hoptroff. 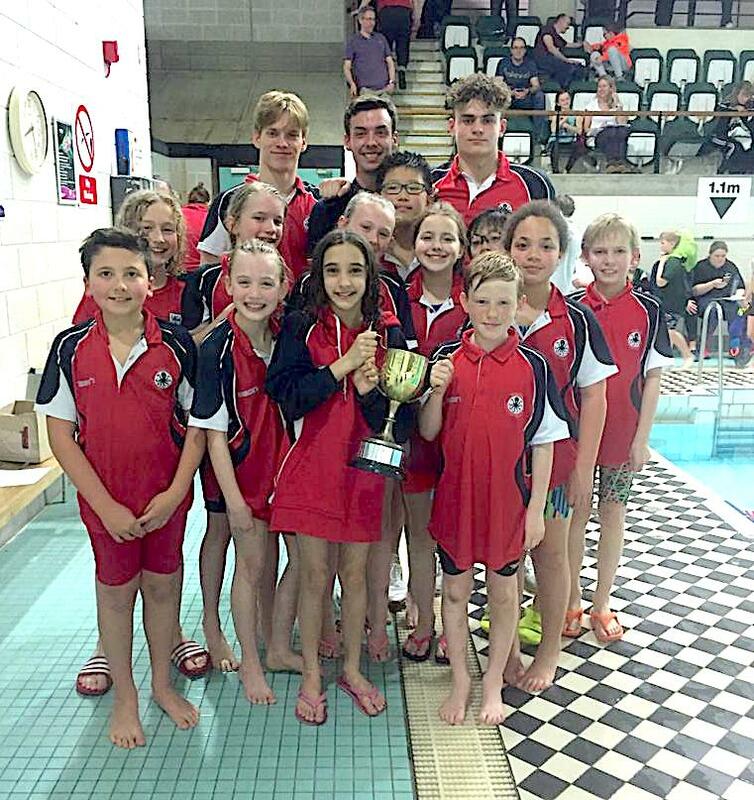 “It was a bit daunting at first – to run our own club: however, we haven’t looked back since as we now coach up to 650 children across three centres and at 27 different schools each term,” she added. Following the couple’s decision to retire from competitive sport six-and-a-half years ago, the success of Fighting Fitness Judo is evident for all to see. Despite competing at the highest competition levels, though, the duo – both third dan black belts – still had to gain their level 1 and 2 coaching qualifications. Since then, Vince has successfully gained a masters in advanced sport coaching practice. He is one of only a handful of people in the country to hold the award. “For us, the main purpose of doing what we do is to make Judo, fun and accessible for all. “There’s no point trying to force a child to love any sport if they don’t like it, but similarly if they take to it, it’s important to give them all the encouragement to excel. That’s the ethos that we promote at Fighting Fitness Judo. “Students take part in lots of different movement skills. As a result, they develop spatial awareness, balance and greater agility. 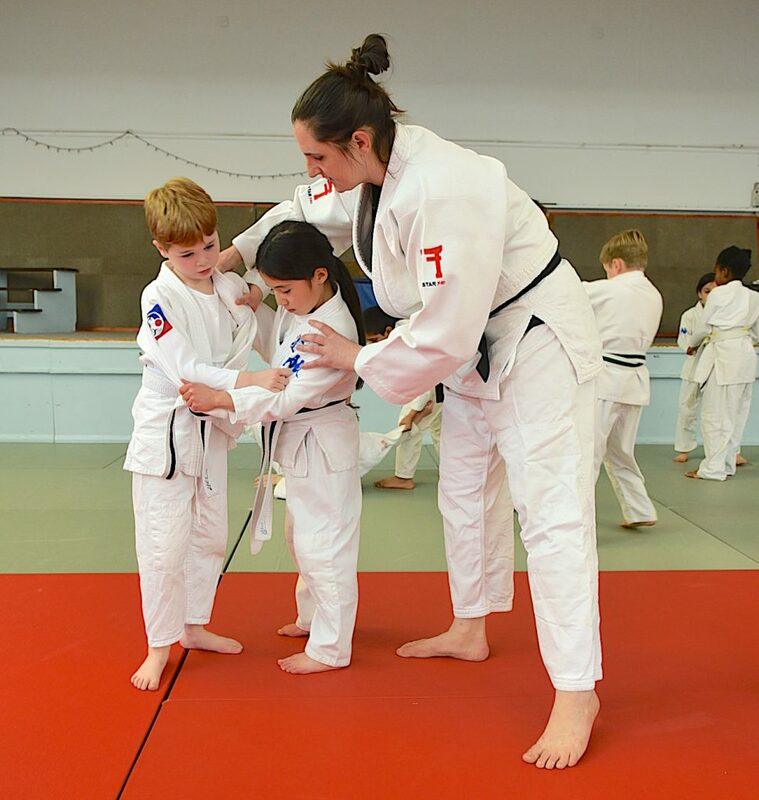 After just four years, Fighting Fitness Judo has become a reputable name across Woking and further afield, with more girls now actively participating in the sport. The club’s Judo players will also be competing in the Surrey under-16s and senior closed trials on 28 April in a bid to make the Surrey county squad. 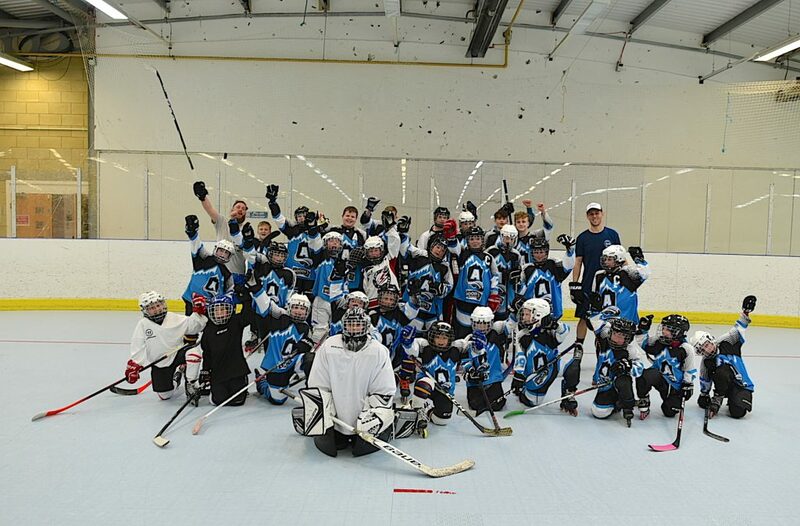 INLINE hockey is making its mark in north west Surrey, thanks to the exploits of the Avalanche club. Based on the outskirts of Brookwood, Avalanche are fast becoming a hit with freestyle roller skaters, as well as more seasoned ice hockey players. While inline hockey may not necessarily be on the tip of most people’s tongue, the sport is one of the fastest growing local sports. Founded in the 1960s in Texas, USA, inline hockey is proving to be complimentary and an attractive alternative to field hockey and ice hockey disciplines in the UK. Ashley Tombs, owner and head coach Avalanche at the Lord Roberts Centre in Brookwood, believes that inline puck hockey, which is non-contact, could become common place if more investment is forthcoming. 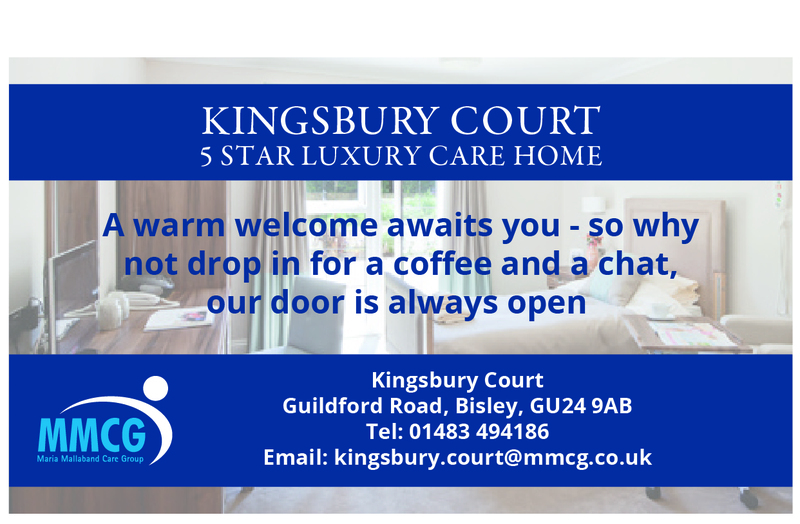 He said: “I used to watch Guildford Flames (ice hockey) when I was younger, but when I found out about Ash Avalanche, as it was known then, I became hooked on inline (hockey). “Due to the limited number of inline rinks in the country, it doesn’t receive the same attention as other sports. 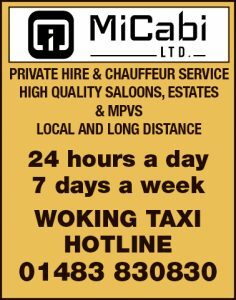 “However, Woking is lucky, as there are two dedicated venues within just a short drive of the town, so there’s plenty of opportunity to try it out,” he added. 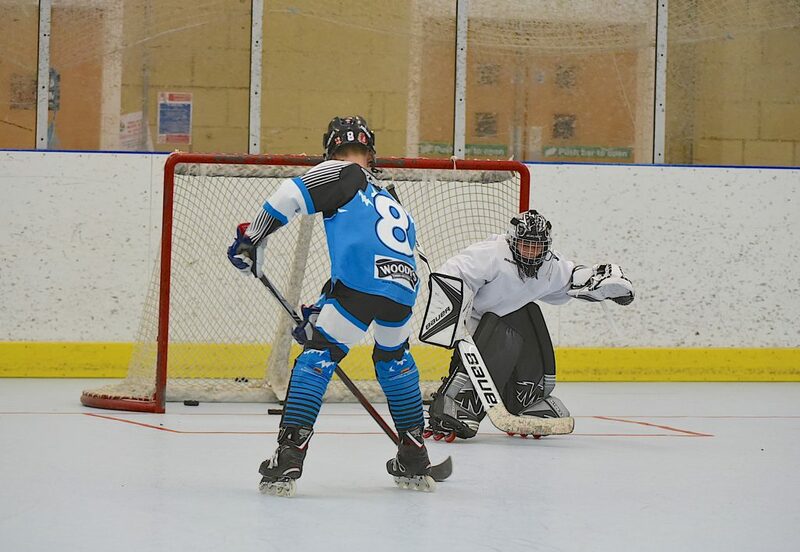 Although the concept of inline hockey is akin to the common rules used in ice hockey, players use inline rollerblades on a hardened rubber surface instead of ice-skates. Inline hockey is also a unisex sport and is played with four outfield players and one goaltender, which differs from ice hockey and field hockey teams that contain six and eleven players respectively. “A lot of players that play inline have come from ice hockey, as opposed to the other way around,” explained Tombs. Since taking over at Ash Avalanche five years ago, Tombs morphed the old club into its new incarnation in 2017, which has seen the club grow exponentially. Such is the rising popularity of the sport locally, Tombs is now working to a five-year goal for Avalanche to have its own purpose-built inline rink within Woking or a neighbouring borough by 2024. 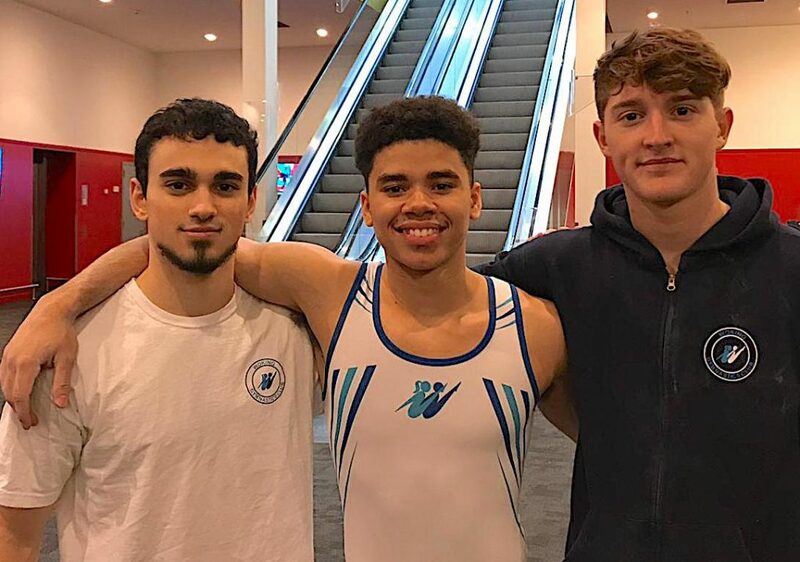 SENIOR Woking gymnast Jamie Lewis won one silver and two bronze medals at this year’s British Gymnastics Championship (14-17 March) at the M&S Bank Arena in Liverpool. There was a big crowd in attendance for the senior competition, with a star-studded field containing World and Olympic medallists. In the Men’s Senior All-Around, Lewis was involved in a tightly fought contest for a podium position. Despite errors in his pommel horse routine, the former European junior gold medallist finished with a strong rings’ routine to take home the all-around bronze medal with a score of 80.950. He added a second Senior bronze medal with his floor routine, where he beat the current Olympic champion – Max Whitlock MBE, before picking up a silver on the rings after reaching the Masters on the final day. Fellow senior gymnast, Tim McCarthy, started with a stylish parallel bars’ routine, scoring 12.900. Although he suffered a fall from the pommel horse, he accrued an All-Around score of 71.450 to take 15th place in what was an otherwise unblemished day of competition. Meanwhile, team-mate Lorenzo Carrozzo had a jittery afternoon. However, he did manage to catch his Kovacs on high-bar for the first time in competition, which meant he finished in 21st place overall (69.450). THE chairman of The Football Association visited the Byfleet village Club at the weekend. 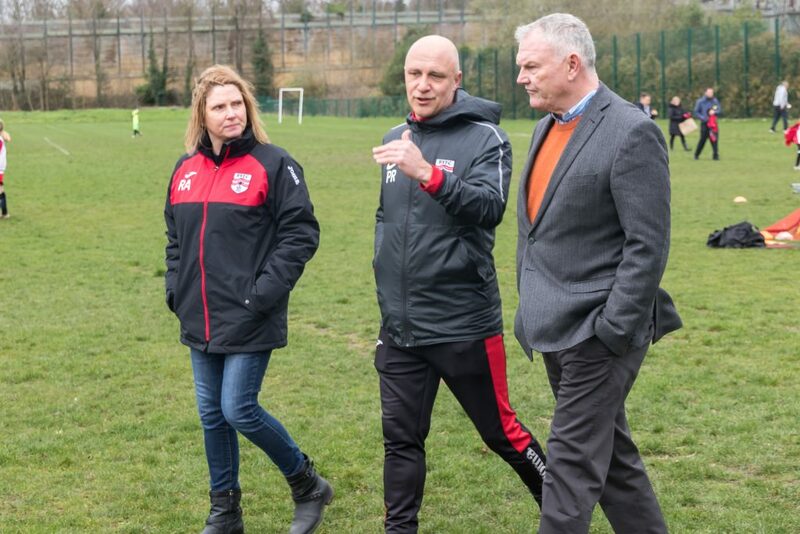 Greg Clarke, who previously served as the chairman of The Football League and Leicester City, was given a tour of Byfleet Village’s facilities by Paul Robinson (club chairman) and rosie Ainsworth (club secretary). Clarke also watched practice sessions involving the club’s girls and under fives. His visit was part of a whistle-stop tour of some of Surrey’s youth development clubs for boys’ and girls’ football. 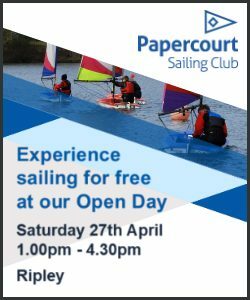 Robinson said: “It’s nice to see that people at the The FA are willing to come down and see what we are doing at Byfleet Village. WOKING moved back to the top of Vanarama League South on Tuesday – but they didn’t have it all their own way against mid-table Oxford City at Court Place Farm. The Cards’ last-gasp 2-1 victory was enough to lift them three points clear of Torquay United at the summit, although the Devonians now have a game in hand and still boast a much superior goal difference. 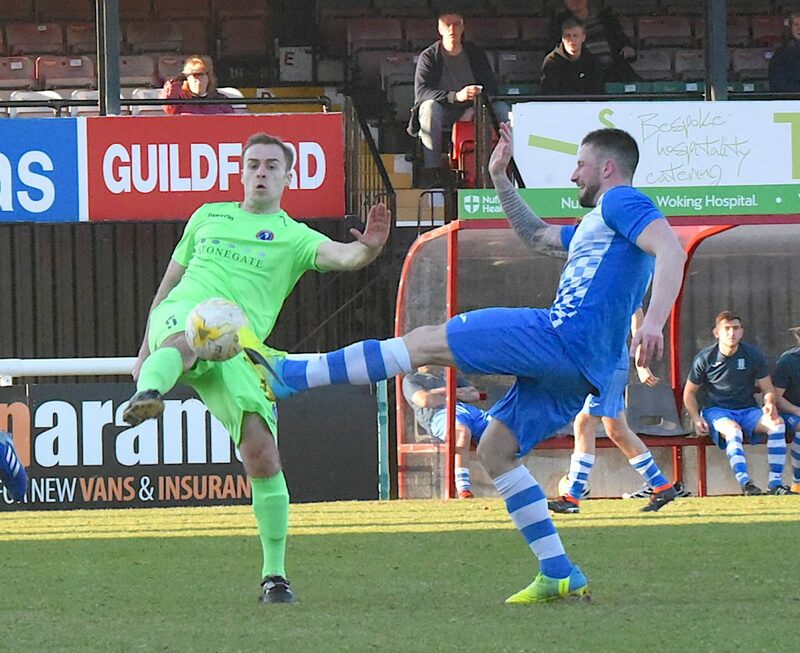 The home team secured just a single corner in the first half, and failed to win another until 10 minutes from full-time, but certainly frustrated Alan Dowson’s outfit and were deserving of a draw. Oxford went into the match on the back of a 5-3 home defeat to Hampton & Richmond Borough, and with a dismal record of only one win from their previous 10 league matches in 2019. But after seeing Woking’s Max Kretzschmar fire a free-kick narrowly over the bar, City went ahead in the 15th minute. What followed was a tense back and forth that saw the hosts come a hairsbreadth from equalising more than once as they harried the Woking visitors at every turn. However, with the clock showing five minutes of injury-time played, City were unable to clear and Harvey Bradbury – on loan from Oxford United – volleyed past King, via the underside of the bar, to break the hearts of home players and supporters. WOKING Ladies could be on course to complete the ‘treble’ if they beat North Leigh Ladies in their League Cup semi-final this Sunday. 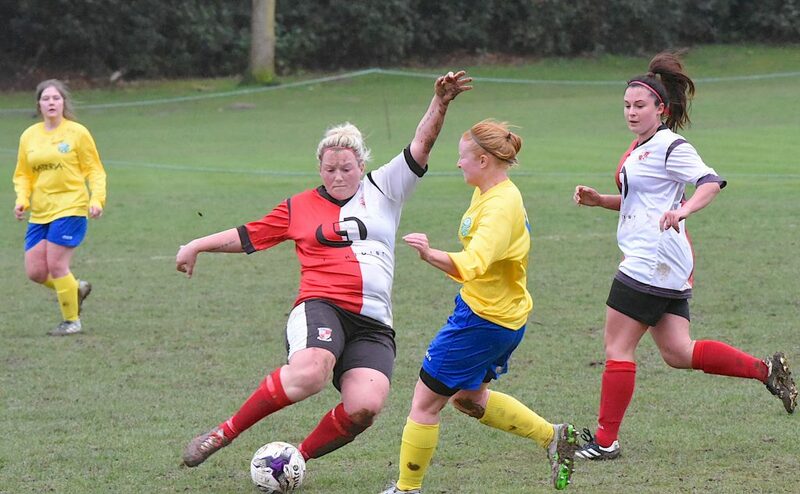 In what is only their second season in the Thames Valley League, Woking Ladies rise to the fore could see them trump their male counterparts to silverware. Under the managerial guidance of former Reading Town and Chertsey Town Ladies’ coach Craig Gareppo – and assistant Leigh Hunter – Woking Ladies are fast proving a force to be reckoned with. With just two defeats in 22 matches, The Cards could win the Division Two East championship and reach two cup finals by the end of the month – a feat many other clubs would find hard to rival. Speaking exclusively to the News & Mail, Gareppo praised his players’ renewed drive and professionalism after they finished third in their inaugural season. “We’ve attracted players who have played at a higher level, which has helped bring about a more professional approach,” explained The Cards’ boss. “Their attitude on match days has really rubbed off on the whole team. The Cards are currently three points behind Abbey Rangers Ladies Reserves, but with three games in hand. The Ladies’ section also has the full support of Woking’s men’s manager too, Alan Dowson, who has not only watched a few games, but also took charge of a few training sessions in the summer. In 2011, Cardinals Netball was nothing more than an idea shared between two former Sheerwater school friends. Nine years later, it’s one of the most successful and fastest growing clubs in Woking and Surrey at large. 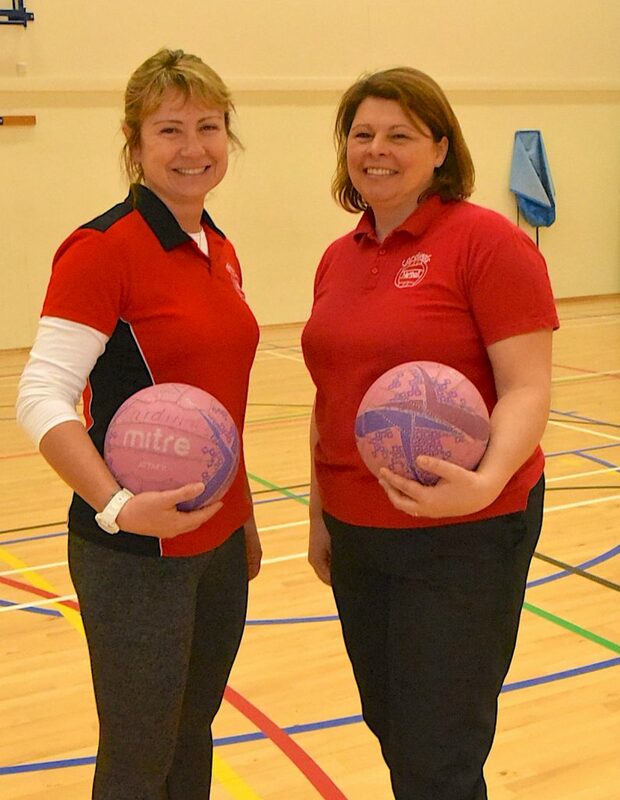 Co-founders and level 2 head coaches Kate Carthy and Hilary ‘Hils’ Hooper have been instrumental in the meteoric rise in popularity of netball, with Cardinals now becoming a beacon for other clubs to aspire to. “It was actually my husband who suggested that we should start a netball team. 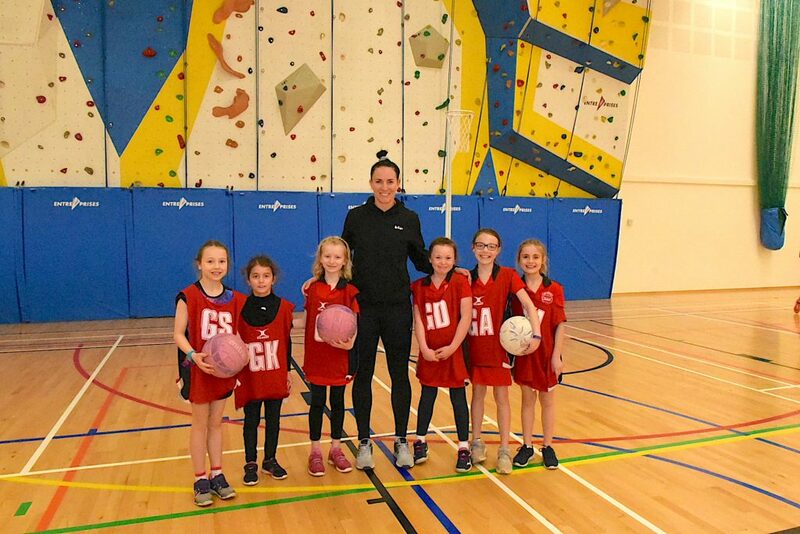 My daughter wanted to play netball in year three at school, but there wasn’t really anything that she could get involved with until she was in year five, so there was a gap to fill,” Carthy said. In the early days, the club comprised a small group of friends, which included Carthy and Hooper’s sons, to help make up the numbers. Since then, the club has grown year-on-year through word of mouth. It now has in-excess of 250 girls playing netball each week. Speaking of Cardinals increasing popularity, Hopper added: “Netball is one of the biggest growing sports in the UK. 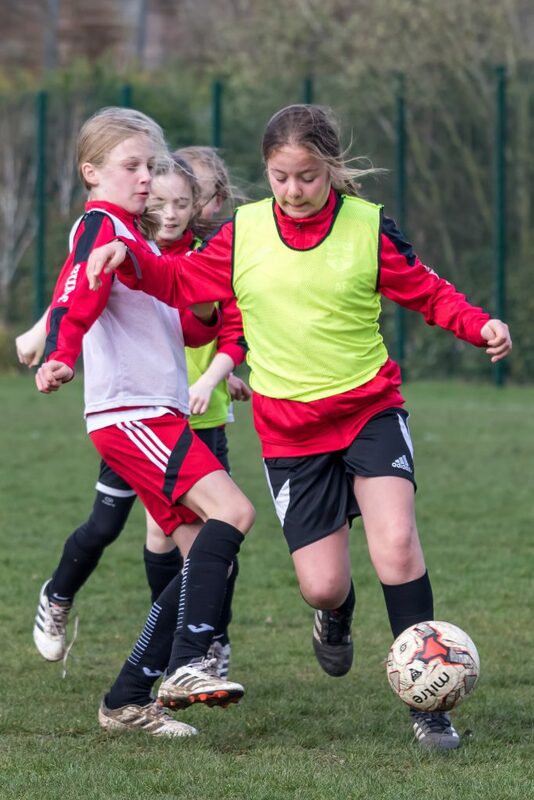 “Girls’ sport in particular has experienced high levels of growth over the past decade or so, not just through the likes of football and cricket, but netball too. “The fact that they’re now showing netball on television has really helped to raise awareness of the sport; so much so, it’s actually becoming increasing more difficult to get tickets to watch Surrey Storm compete in the Netball Superleague. 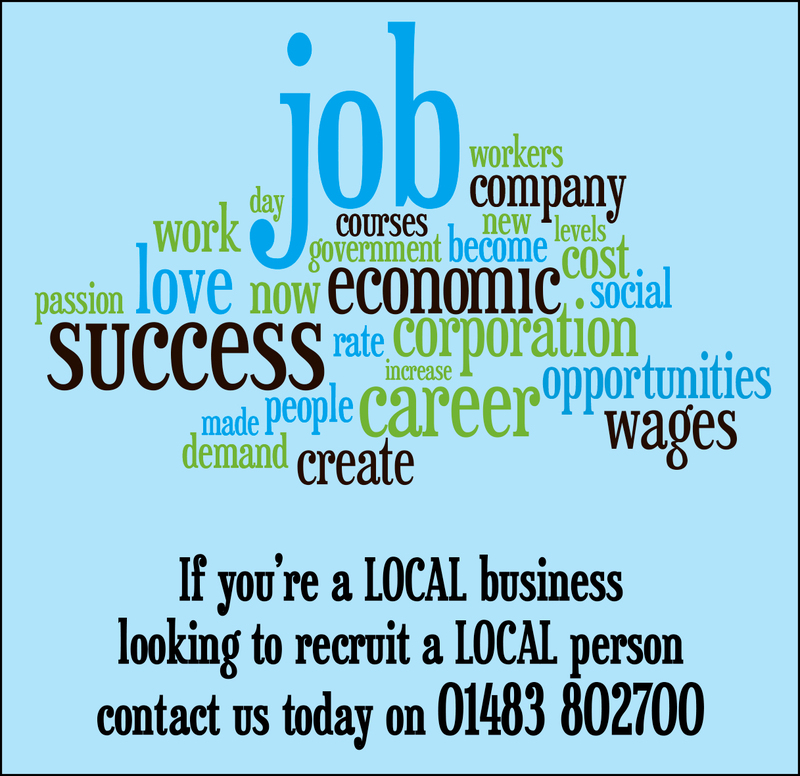 “We now manage the best part of 20 teams, who train at Sythwood Primary School and SJB (St John the Baptist School). “We promote the fact that we are inclusive, not exclusive and that we will always do our utmost to accommodate every player we can between the ages of six and 18,” added Hopper. Carthy and Hooper are now looking into the possibilities of running a summer league this year to demonstrate the club’s ongoing commitment to provide a pathway for progression and soon to be unrivalled sporting achievements. WOKING returned to winning ways with a 1-0 victory away to Truro City on Tuesday. Going straight into The Cards’ starting line-up was midfielder Olu Durojaiye, who signed from Bostik League Premier Division outfit Haringey Borough on Monday. 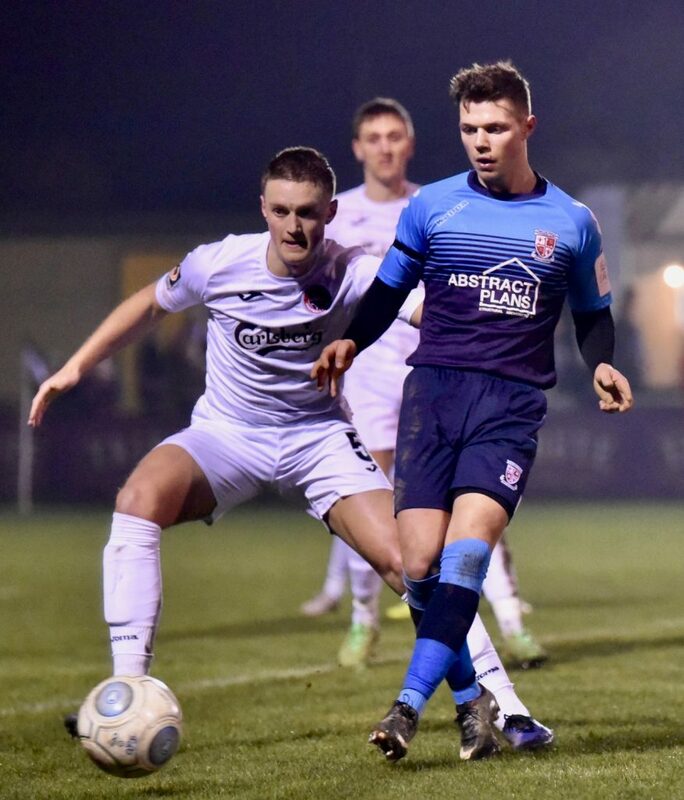 Despite having made their longest journey of the season – a daunting 240 miles – Woking got off to a superb start at Treyew Road, David Tarpey and Jake Hyde peppering the goal with shots. The pressure finally paid off when Armani Little unleashed a rocket from 25 yards and beat City keeper Harvey Rivers. Truro, with two wins and a draw from their five previous games this month, showed more steel in the second half and it was clear they weren’t going to roll over. But Woking were able to soak up the home side’s pressure and were good value for their win, which sees them back on track after the disappointment of Saturday’s match, a 2-0 defeat away to Dartford. “It’s no secret that Dartford are a big, strong side that look to hit you on the counter attack,” said Woking manager Alan Dowson. “I feel a bit hard done by from our two matches against Dartford. I thought we should have got something out of both,” he added. SHEERWATER had to play 70 minutes with 10 men as they missed a host of chances in a disappointing 1-1 draw last Saturday. 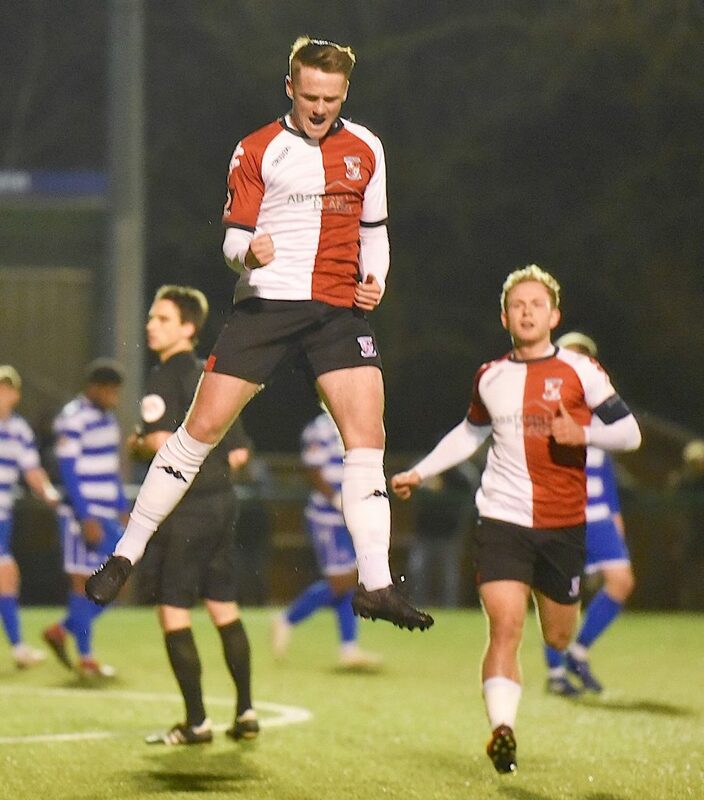 After the jubilation of going top on Tuesday night The Sheers were brought back down to earth and into third as they were frustrated by Dorking Wanderers at Kingfield. After an early goal from Chris Machay was disallowed by the referee who had already suspended play for a foul, The Sheers’ luck only got worse. Timmy Taylor was shown a red card after 20 minutes, leaving his team a man light for the remaining 70 minutes. Shane Cheeseman managed to put his team ahead, only for a series of close misses to frustrate The Sheers’ efforts as Chris Machay and Gavin Brainch both missed opportunities to score. The Sheers’ bad luck continued, as Scott O’Connor was taken off with a knee injury, and the Wanderers’ Pascal Sedgwick equalised. A defiant Sheerwater came back hard, but ultimately fell short as Machay and Brainch both missed golden chances to score, leaving the final score tied.